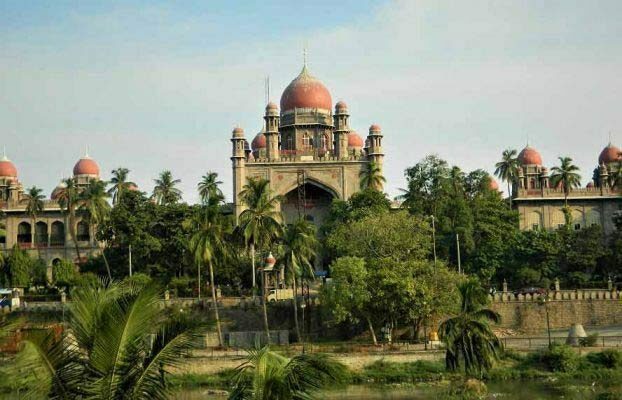 Hyderabad: A two-judge bench of the High Court at Hyderabad, comprising Justice V Ramasubramanian and Justice J Uma Devi, on Tuesday adjourned a matter pertaining to admission into MBBS/BDS courses. The bench was dealing with a writ plea filed by C Nandhu Bhargavi questioning the inaction of the Telangana government in not clarifying that children of Border Security Force would also be entitled to reservation provided for Children of Armed Personnel (CAP) for admission into MBBS/BDS courses. The petitioner stated that action of the Telangana government in not including the petitioner under the CAP category was illegal, arbitrary and discriminatory. He sought directions to the government to provide admission to him under CAP in KNR University of Health Sciences Warangal. The same bench allowed a writ petition pertaining to release of revised pension. T Gangi Reddy, Retired District and Sessions Judge, Mahbubnagar, filed the writ plea against the Accountant General AE, Telangana, for not releasing the revised pension as per the Revised Notional Last Pay Certificate in the Super Time Scale District Judges. The petitioner contended that the action of the respondent was illegal and arbitrary. The bench directed the Accountant General to release the revised pension. Justice P Naveen Rao on Tuesday admitted a writ plea pertaining to continuation of non-tribal and non-local teachers as Inclusive Education Resource Teachers (IERTs) in the Bhadrari Khammam agency area. V Bansilal and others filed the writ plea questioning the action of the District Educational Officer in continuing non-tribal and non-local candidates as IERTs in the agency area in spite of availability of qualified local tribe candidates for appointment. The petitioners stated they were local candidates and hence eligible to be appointed as IERTs as per a GO.